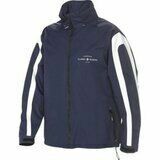 Marinpool Hobart 3 Jacket is the successful evolution of the classic Hobart Jacket. Next to the material and colour mix, there is a new offshore collar, the brand new WP Pocket System and 2 in 1 in-zip option, which advance the Hobart 3 Jacket to the next level. The WP Pocket System allows to mount a separate waterproof pocket into the jackets right outer pocket. Proven 2 -layer Nylon fabrics with MPU coating provides high durability, waterproofness and breathability. Fully taped seams and waterproof. Other features: Double cuffs, double placket. High fleece lined collar with spray protector and signal hood stored inside. Chest pocket, outer pockets with top and side entry and fleece lining. Mesh/taffeta lining with a inner pocket. 3M(R), reflective at shoulder and hood plus other reflective details. Fabric: 100 % polyamid, coating 100 % polyurethane, lining 100 % polyester. 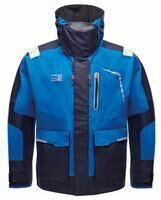 Specials: W/P 10.000 mm, MVP 6.000 g / m˛ - 24 h.
Fladen Maxximus 850MX flotation jacket is the ultimate in sailing gear technology. Double storm flap over two-way zipper, two large outside pockets with flaps and Velcro lock. Two zippered breast pockets and two fleece-lined handwarmer pockets, elastic drawstring at waist and bottom, underarm air vents, water repellent pocket for mobile/GPS on the left arm. SOLAS reflectors. 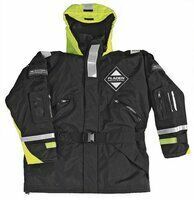 ISO 12402-5 certified as Flotation Jacket. The lightest 2 piece floatation suit (with jacket and trousers 846/847) on the market. 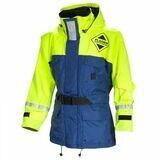 Both for sea-use and for ice fishing.The suit comes with the same extreme buoyancy and thermal protection as the other Fladen Rescue System Suits. Fladen trousers Maxximus 855MX are designed to pair up with the homonymous jacket Maxximus 850MX. Kevlar knee pads, double storm flap over two-way zipper, adjustable straps, SOLAS reflectors. 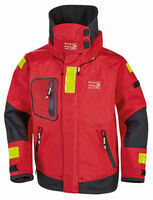 EN393-certified as two piece Flotation Suit together with Flotation Jacket Maxximus 850MX.